At a time when the vast majority of men's suits are glued together in factories overseas, it's inspiring to see a chic boutique like Steven Alan team up with Chicago men's haberdasher Hart Schaffner Marx to create a capsule range of quality suiting made entirely in the United States. Hart Schaffner Marx (or HSM, as its fans have it) has been a staple of nattily dressed gents this side of the Atlantic since 1887, so you know you're investing in a suit with real bones. Each piece features subtle details traditionally found on bespoke suits with much higher price tags. Each piece features subtle details—including welted pockets, horn buttons, and unfinished pant hemlines— traditionally found on bespoke suits with much higher price tags. The collection is available for a limited time at Steven Alan stores and online at StevenAlan.com. We love the fact that more products are starting to once again be produced here in the USA. When enough niche product lines start doing well, it will not take long for those who thought off shoring was a better route that more consumers are demanding made in the USA. Two-piece fully lined suit ($1,175). 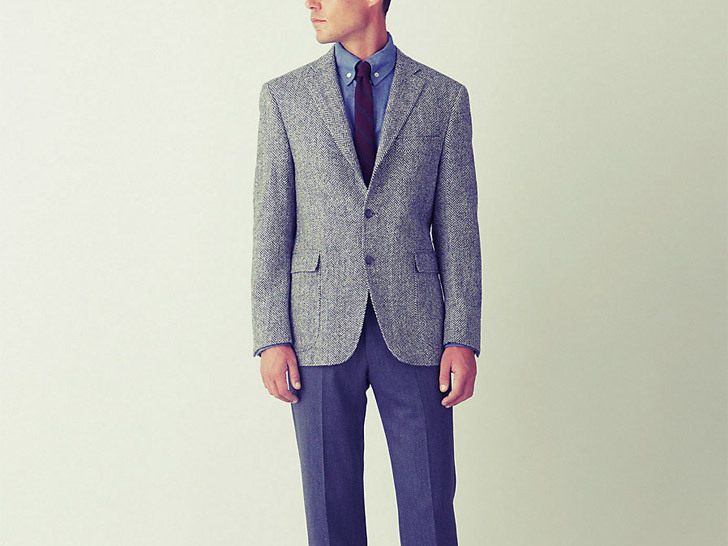 Fresco two-piece suit in navy ($1,050). Fresco two-piece suit in gray ($1,050). The jacket portion of the fully lined two-piece suit. 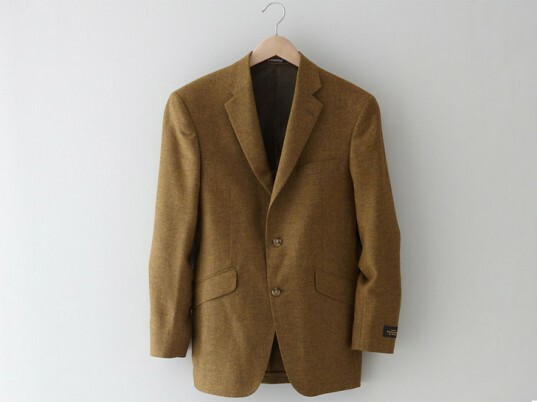 Another look at the French-face sport coat. A cuff with black horn button details.